Starbucks is going all in on China, agreeing to purchase the remaining 50 percent of its joint venture business there for $1.3 billion -- the single largest acquisition in company history. Starbucks is going all in on China, agreeing to purchase the remaining 50 percent of its joint venture business there for $1.3 billion — the single largest acquisition in company history. The move means Starbucks will assume 100 percent ownership of about 1,300 stores in east China — spanning Shanghai and Jiangsu and Zhejiang Provinces — in the country that represents the company’s fastest-growing market, in terms of store count, outside of the U.S., the company said. Starbucks currently has 2,800 stores in China. Aside from the 1,300 stores in east China, the remaining 1,500 are already fully company-owned. Future stores opening in the country will be as well, the company said. Starbucks’ sales in China have been growing rapidly. In recent quarters, sales in stores there open at least a year grew 6 to 7 percent, versus 3 percent in the U.S.
“Unifying the Starbucks business under a full company-operated structure in China, reinforces our commitment to the market and is a firm demonstration of our confidence in the current local leadership team as we aim to grow from 2,800 to more than 5,000 stores by 2021,” Kevin Johnson, Starbucks’ president and CEO, said in a statement Thursday. Starbucks will be acquiring the 50 percent interest from joint venture partners President Chain Store Corporation and Uni-President Enterprises Corporation. 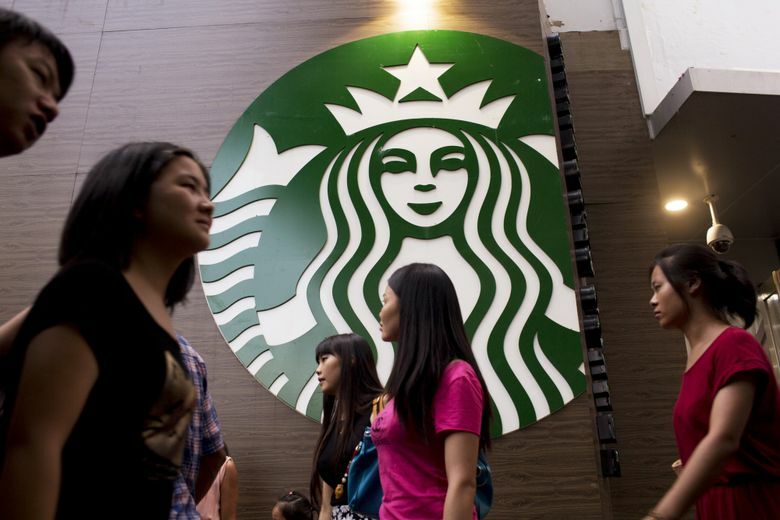 At the same time, those joint venture partners will be acquiring Starbucks’ 50 percent interest in its Taiwan business, assuming 100 percent ownership of Starbucks’ operations there. That means the 410 Starbucks stores in Taiwan will be fully licensed, rather than joint ventures. The move is similar to the company’s 2011 decision to fully license its Hong Kong and Macau operations, Johnson said in a statement. Both transactions are expected to close by early 2018. The company is betting big on China. Shanghai already has almost 600 stores — the largest number of stores in any city, the company said. In December, Starbucks plans to open its first international Roastery — its high-end coffee shop — in Shanghai. Howard Schultz, former CEO and now executive chairman of Starbucks, has said that he expects the China market to exceed the U.S. at some point. Starbucks plans to discuss these transactions further during its third quarter earnings call at 2 p.m. Thursday. Janet I. Tu: 206-464-2272 or jtu@seattletimes.com. On Twitter @janettu.